Robots are taking over your job. That is, if you believe futurist Thomas Frey, who predicted that 2 billion jobs will have disappeared by 2030. In a study about the Future of Employment, Oxford University academics ranked 700 occupations according to their probability of computerisation. The design industry – from fashion design to commercial and graphic design – ranked anywhere between number 89 to 161. We asked three top designers that will speak at TNW New York in December how designers can build a future proof career. To have a future-proof career, designers need to master communication. Specific tools and platforms are continually evolving, but storytelling will always be at the core of what it means to design. 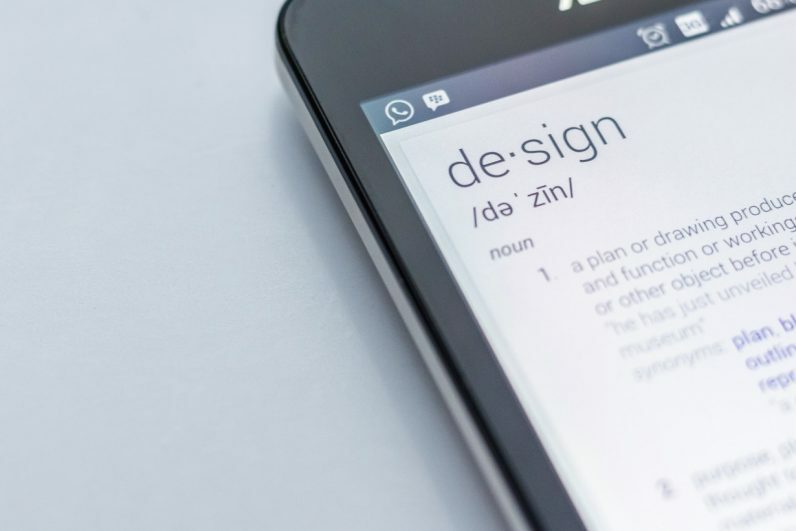 If a designer can effectively pitch ideas, and make it easy for others to see and understand processes in their documentation, they will be ready to take on new challenges as the digital boundary evolves. For example, a rapidly growing technology like voice control may become a large proportion of all digital interactions in five or ten years. With AR and VR poised to grow, who knows how long it will be before sites and apps need to react to head or eye movements, instead of cursors? To that same end, designers will always benefit from being ready to adapt by playing around with what’s next. Getting into the habit of exploring and prototyping “the next big thing,” whether or not it becomes that, will help designers adapt over time. As a designer, more than ever before, you need the ability to anticipate the future and respond even before you have all the information you’d normally like. The old definition of design was “problem solving.” Which meant waiting for a problem to arrive before you went to work. But, given how fast the world moves today, by the time “problems” show up, it’s already way too late. I think design needs a new language. Designers must now be “problem seekers.” Designers should always be at the frontiers – mentors of things to come. That means we might get it wrong from time to time, but that’s okay. At least we’re expanding far beyond simply polishing surfaces, which too much of design still entails. My family purchased Alexa (the personal assistant) in the first few weeks it was released. It’s now an integrated part of our life. We plan our trips, play music, get news… it’s insanely convenient. As a user, you’re not touching or seeing anything with Alexa. Instead, you’re having a chat with an AI interface. But designers are heavily visually oriented, and Alexa is entirely voice oriented. For designers, that opens up a completely non-intuitive opportunity. What happens to visual branding? To packaging? To commercials in this context? To succeed in these new, emerging contexts designers now have to move faster than the culture itself. I learned the best lesson in future-proofing when we launched COLLINS a decade ago. I took our entire crew – just 7 people at that time – on a meditation retreat in the Hudson River Valley run by celebrated Buddhist nun Pema Chödrön. When we got there, we quickly found out it was a completely silent retreat. SILENT. No one could speak. You could only listen. Her philosophy is still in my mind. It taught me to embrace the fact that you don’t necessarily know where you’re going all the time. All that’s probably good as it forces you to be alert. The path does not go all the way. But that’s exactly where the adventure begins. From looking at how much the world has turned upside down in merely 10 years – since the introduction of smartphones – I think it’s safe to say that the now as we understand it will never be the future. In that regard, the concept of being future-proof is actually not that future-proof, and it’s kind of difficult to think about the future in an applied, assured sense, such as planning for your career. Who knows if artificial intelligence or bots might replace certain types of workforce that actually requires thinking like designers, for example. I do believe that in a time where technology is so powerful, future is so unpredictable, and we seem so vulnerable, the only productive attitude is to have a better understanding about history, be more aware of our own relationship with the platforms that we engage with on a day-to-day basis, be curious about technological currents that seem alien, such as AI, robotics, cryptocurrency, bio-engineering, so we can think better in uncertain times. If you’d like to speak to Brian Collins, Natasha Jen & Jess Brown in a round-table session, apply here for TNW New York tickets. Click here for more info on event, the amazing speakers and the venue.